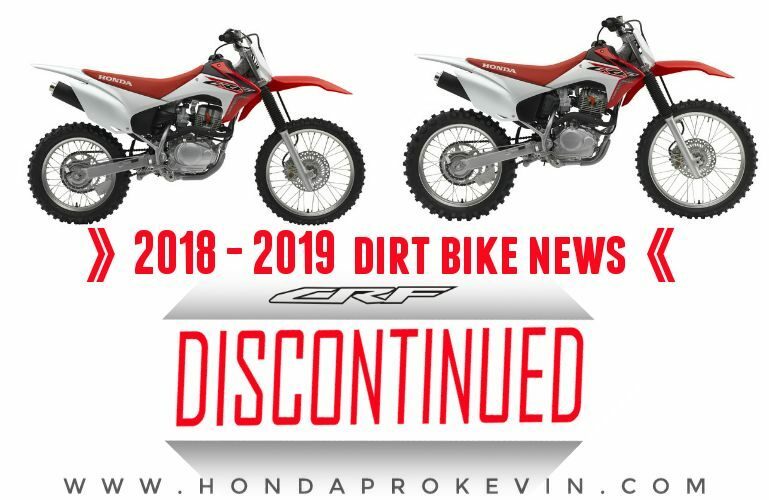 2018 Honda CRF230F & CRF150F Dirt Bikes = Discontinued | 2019 Comeback? Honda makes two types of CRF dirt bikes, you have the CRF-F models which are your basic “trail” style dirt bike and then you have the CRF-R model lineup that are Honda’s flat-out “race” dirt bikes. The CRF-F models are your basic run-of-the-mill off dirt bikes where you don’t have to do much maintenance other than change oil every 600 miles, 100 hours or once every 6-12 months depending on how much you ride it whereas the CRF-R models need to be serviced every 7.5 hours. The CRF-R models are high-strung race bikes that are built to eek out every last horsepower and longevity isn’t really a huge concern as with racing you need all the horsepower you can get to get you across the finish line first at any cost. 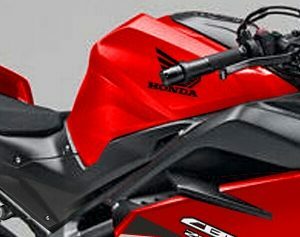 Aside from maintenance costs being higher on the CRF-R models, the price of entry is substantially more too as you pay a premium for all of the technology that Honda crams into these bikes from the engine to the frame and suspension. Millions of dollars are spent in research and development to make them better and better year after year whereas the CRF-F models are redesigned once every decade or more. With Honda’s CRF-F model lineup, you had a bike for every age and every size whether you were a 5-year old kid that is just getting into riding on a CRF50F or the child’s dad that just wants a basic trail bike to ride around with him on the CRF230F as not everyone wants a CRF-R motocross race bike just to put around with their kid. If that sounds like you above and what you would want, just a basic trail bike, then you are out of luck for 2018… Honda will not be building a 2018 CRF230F so if you want a basic trail bike you are up a creek without a paddle and will have to go with a CRF-R race bike like the CRF250R / CRF450R as now the biggest CRF-F trail model will be the CRF125F Big Wheel since they are also discontinuing the CRF150F too. Example in pricing differences: Let’s say you were interested in purchasing a CRF230F for yourself… The MSRP on the CRF230F last year was $4,299. You think to yourself, “I’ll just go ahead and bump up to the CRF250R, it can’t be that much more since it’s only 20cc larger etc”. Well, it’s technically a lot more than just being 20cc different in engine size, they are entirely different animals top to bottom and front to back with no a single nut or bolt shared between them. Brace yourself now… MSRP on the 2018 CRF250R comes in at $7,999 so that means you’ll end up paying approximately $3,700 more! That’s almost double! Add in the extra maintenance costs etc and that CRF250R is not only going to cost you a lot more to purchase over the CRF230F but also a lot more to maintain it and keep it running for years to come. Another big factor when it comes to the R versus F models are their seat heights. The R models sit up considerably higher, the CRF250R comes in at 37.8 inches whereas the CRF230F comes in at 34.6 inches. That may not sound like a lot but 3.2 inches is a pretty big difference when it comes to actually being able to feel comfortable sitting on a motorcycle and when you add in the fact of trail riding and if you have to put your foot down due to un-level ground and if you can’t get your foot down then it could mean you’re toppling over – I’ve seen that happens countless times with people that are ‘vertically challenged’ and can’t flat-foot the ground. It’s one thing when you’re just sitting there but another when you add in different terrain to the mix. Could Honda be completely redesigning the CRF230F for 2019 and the CRF150F too with loads of changes? Yes, that’s possible but even if that’s the case this is still a big mistake in my opinion. If that’s the case then they should’ve ran those two models through 2018 and then introduce the new versions for 2019 etc so that way we don’t have a massive hole in the CRF-F motorcycle lineup for 2018. Opinions? | What’s your opinion on the topic? As always, I love to hear what you guys think so post up below. What would you do if you were in the market for one of these bikes that won’t be available for 2018? Would that make you have to jump ship and go with a trail bike from Suzuki, Yamaha, Kawasaki etc or would you stick with Honda and just go for one of the more expensive CRF-R or CRF-RX models? Edit / Update: I just heard from a birdie on the wall that Honda isn’t planning to discontinue them from the model lineup forever but rather to skip the 2018 production year and return with the 2019 Honda CRF230F and 2019 CRF150F.